A bank robber queued for 15 minutes before using a bottle of Febreze to threaten staff in an attempt to steal money. 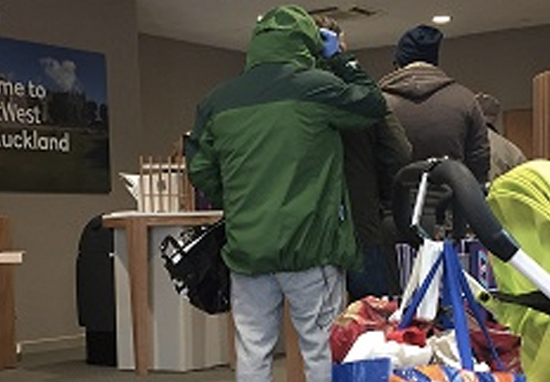 Simon Jones, 38, waited in line at the NatWest in Bishop Auckland, County Durham, wearing blue latex gloves, a hooded top pulled up, a face mask and dark glasses. When he reached the front of the queue he handed a note to the cashier, stating that the Febreze bottle contained acid and he wasn’t afraid to use it. The incident occurred in May just after 10am, and the police immediately enlisted the public’s help to find the suspect by releasing an image which was captured by a witness. Now, I used to work in a bank and there’s nothing more terrifying than thinking someone’s going to carry out an armed robbery. So I can imagine the threat of acid being contained in the bottle was scary enough to hand over the money. 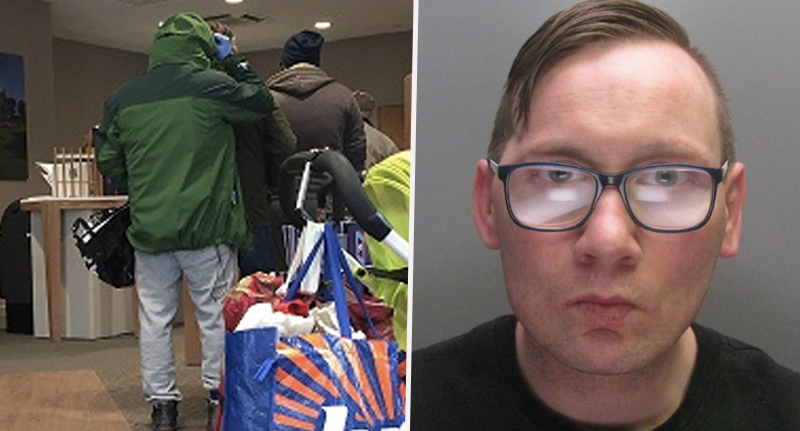 However, as reported by the Metro, the cashier was quick-thinking and handed over a decoy bundle of £1000, which contained a tracking device, as well as £370 in cash. Jones then fled in his girlfriend’s red Ford Fiesta, which he had taken without her consent as she walked her dog, with the money in tow. The Mirror reports that the NatWest-approved tracking device failed to work, which meant the robber could not immediately be traced. However, he was arrested just a few hours later when a member of the public reported seeing the car to the police. Jane Waugh, prosecuting, said Jones researched how to rob a bank by google searching, ‘how to rob a bank’, before he visited the NatWest branch in May. When he arrived, he decided to wait in line rather than burst in, despite his suspicious looking appearance of a mask and gloves. One customer said he ‘didn’t look quite right’ and the police were called because of their suspicions. The manager approached the defendant as he waited in the queue and asked if she could help him. He replied ‘no’. It has been reported that the manager believed Jones could have had a skin condition because he waited patiently in the queue. She didn’t want to cause upset and so went to speak to him to find out if everything was alright. This was a planned and thought-out offence which terrified the bank staff and customers and has had a long-term effect on those who witnessed it. Fortunately, due to the vigilance of the local community who were in and around the bank that day, along with the help of the community in Coundon, the vehicle used by Jones was identified that same day, along with the clothing worn by Jones and the Febreze bottle. 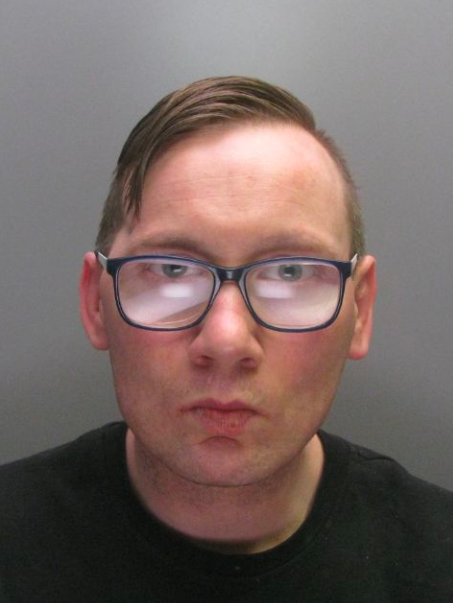 We were then able to swiftly identify, locate and arrest him and minimise the long-term effects of the robbery on the bank staff by placing Jones in custody at the earliest opportunity. Staff suffered from mental health issues as a result of the robbery and had to take time off work because of this. The 38-year-old was jailed for 40 months following the raid.